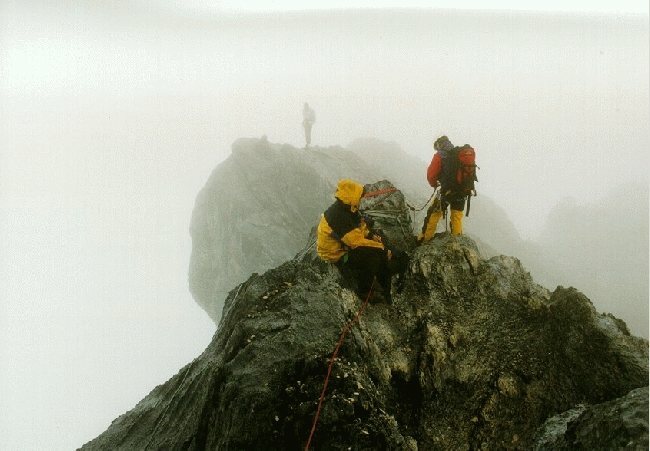 Description: Climbing the gap in the summit ridge on the way down. Jose is ready to descend, Jaime Vinals is waiting for him. On the other side (after climbing up again) you can see 7summiteer Leszek Cichy standing on the ridge. I know this is probably a stupid question to those expertised in climbing, but how do you cross these gaps?? very few questions are stupid!